Savor spring at ZooTampa! Experience everything you love about the Zoo'adorable baby animals, exciting wildlife encounters, and family fun'all with a slow-smoked, mouthwatering twist. Enjoy classics like smoked ribs, buttery corn, and pulled pork sliders; and discover new favorites like smoked salmon, jerk-grilled eggplant, and bourbon cupcakes. Pair with a cold beer and dig in as live music fills the air. Families will enjoy an interactive game area and extended Zoo hours. All guests can enjoy Zoo & BBQ! 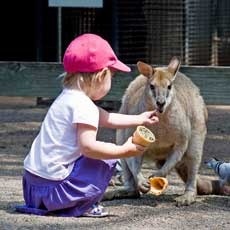 Admission is included in Zoo daily admission; Pay for a Day, Visit Rest of 2019 Free; and annual Zoo memberships.